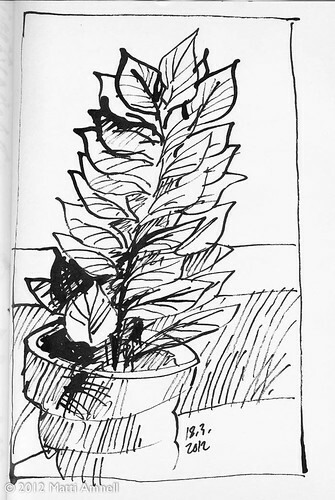 Sketchbook 2012.03.18., originally uploaded by Brin d’Acier. I bought a new plant for my desk. It’s supposed to be able to withstand all kinds of mistreatment – let’s see how it fares here. This entry was posted in Sketch of the day, Sketchbook and tagged ink. Bookmark the permalink.